Solis & Sean Truby vs. 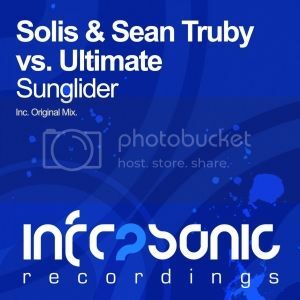 Ultimate - Sunglider [Infrasonic] | OUT NOW! Thread: Solis & Sean Truby vs. Ultimate - Sunglider [Infrasonic] | OUT NOW! Quite possibly one of the tastiest looking collaborations we’ve delivered on Infrasonic in a while. Head honcho’s Solis & Sean Truby team up with one of 2013’s brightest stars: Ultimate. Indeed, the collab looks mouth-watering and as the track begins you get a sense of what is in store from this trio of fine trance producers. The fruits of their label are the spellbinding sounds of ‘Sunglider’, which is a lush trance workout. 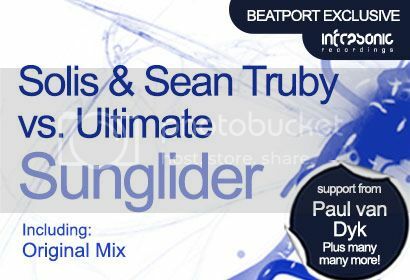 From its warm pads and breakdown, to the euphoric drop and classic trance sound selection, ‘Sunglider’ is for sure going to find its way into the playlist of many of the world’s elitist trance DJ’s over the coming months. Essential listening!